Below is an interview I conducted for LookLeft (#5) magazine earlier this year. 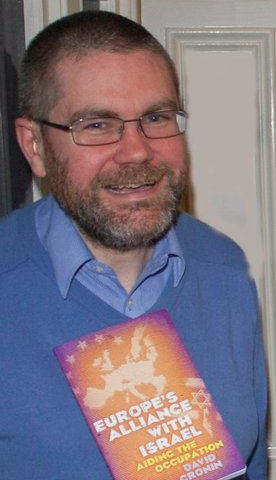 It’s an interview with Brussels-based Irish campaigning journalist and author (and man who tried to arrest both Tony Blair and Avigdor Lieberman ), the one and only David Cronin. As a new issue of LookLeft (#6) is due out in the very near future (and you should buy it), I think it’s alright to post the article. This is a severely abridged version of a much longer – and more informative – interview we conducted. I will post the full interview on these pages in the near future (i.e., when I’ve found the bloody thing) along with my other article from that issue, which is about history and politics in modern non-fiction graphic novels. 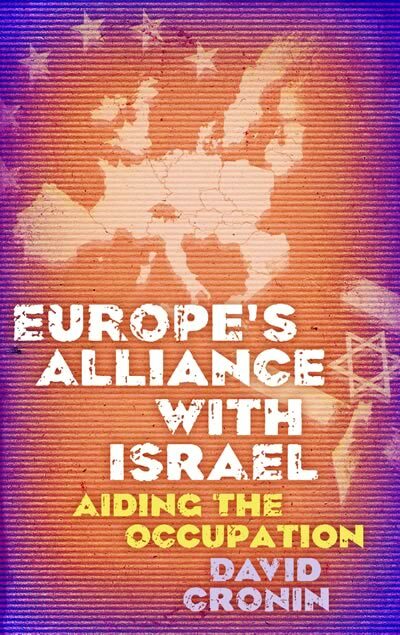 Irish journalist David Cronin has just published his new book, Europe’s Alliance With Israel: Aiding the Occupation (Pluto Books, 2010). He shows that despite occasional mealy-mouthed statements criticising Israeli human rights abuses, the EU and its member states have been busy developing and entrenching economic and symbolic relationships with Israel. He traces the development of these ties, explains how and why these partnerships function, and exposes the rank hypocrisy underpinning this relationship between institutions that claim to uphold international law, and the serial and systematic human rights abusing Israeli state. The book is an accessible – if depressing – guide to a subject that is under-reported. LookLeft interviewed David at the book’s Irish launch last December. LL: Among other things, your book is a litany of EU hypocrisy with regard to Israeli human rights abuses. What do you think are some of the most egregious examples of this? DC: I would go further – the EU is not merely hypocritical, it’s actually complicit in crimes against the Palestinian people. EU-Israeli relations are covered by an “association agreement” which contains a legal clause stating that both must respect human rights. Despite Israel’s refusal to abide by that commitment, the EU has happily deepened its cooperation. For example in 2008, despite increased illegal settlement building, the EU “upgraded” relations with Israel, granting it many economic benefits. “Scientific research” is an extremely lucrative form of Israeli cooperation with the EU. Israel takes part in over 800 schemes with European universities and companies, with a total value of €4.3 billion. By 2013 it’s expected that Israel will have received more than €500 million worth of EU grants. People should be outraged that Ireland’s European Commission representative, Máire Geoghegan-Quinn, is administering these grants. Among the beneficiaries are arms-makers like Elbit and IAI, who produce the pilotless drones and warplanes regularly used in attacking the people of Gaza. LL: The EU continues to ignore human rights abuses in pursuit of Israeli ‘integration’ into the EU. Is this for military, economic or ideological reasons, a Holocaust guilt hangover – or a mixture? DC: A mixture, I would say. The Holocaust left a indelibly shameful stain on Europe’s history. But it’s a gross insult to Holocaust victims to allow them – metaphorically speaking – be exhumed and abused as part of a sordid propaganda war. Israel has also presented itself as indispensable in the “war on terror”. Israel’s economy is increasingly reliant on the euphemistically titled “security” industry, exporting weapons and technology that have been “battle-tested” against Palestinians. The EU has warmly embraced these merchants of death, even involving some of them in the EU-Israel business forum, where CEOs brainstorm on trade cooperation. LL: You argue that once the EU continues to embrace and reward Israel, peace will never be achieved. What do you say to people seeking a just peace? DC: Simple – get involved with your nearest Palestine solidarity group, get active in the Boycott, Divestment and Sanctions movement. We can’t rely on politicians to deliver justice, so it falls to ordinary people to take action. This is an abridged version of a longer interview that will be published here in the coming days. Note: The full interview has now been published (at last) here.